So when I got the dress, the owner sent me two veils with it. One is a long, plain veil that's probably cathedral length seeing as how it's longer than the dress. The other is a simple birdcage veil. The wedding is casual, so I really have no idea what to do. Both are pretty. Neither would be worn for the reception. I have no idea which one to use. Both are cute, although I have to figure out how to use the birdcage since I don't want it over my eyes. I'd rather have it over part of my forehead. I'm planning on wearing my hair half up, half down if that helps. The dress is Allure 2257. I don't have any pictures on my computer of me in it yet. 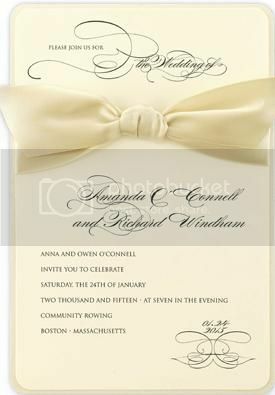 I think either would look great, but if it's a casual wedding, I'd go for the birdcage. Do you have pictures of both veils? I'd say birdcage though without seeing what they look like. [QUOTE]Do you have pictures of both veils? I'd say birdcage though without seeing what they look like. I voted long because I imagine in my head the pictures where the veil is blowing in the breeze and just looks amazing. Also, your dress is very pretty. Here are some pictures. Sorry for the crappy picture quality and my messy room. The long veil-Too long to get a picture of with my camera. It's just a plain 1 layer veil (no face covering part) that goes straight down and behind me for about 1.5 feet. Almost 2. The short veil is next. That's just one way I can wear it, I could also put it over my forehead/eyes, but that's annoying. The flower is removable, and I may find a different clip since I"m not 100% sure I like this one. It did come with the veil though.